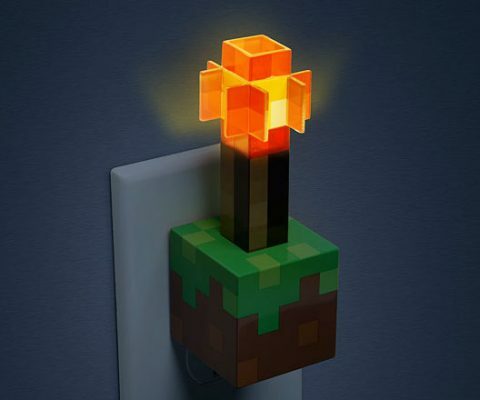 Juice up your devices in the geekiest way possible by plugging them into this Minecraft torch USB wall charger. Apart from its colorful pixelated design, the charger comes with 2 USB outputs and a small torch that lights up while you’re charging your devices. 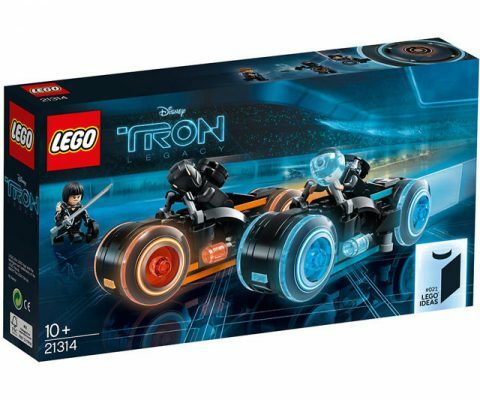 Pay homage to your favorite sci-fi flick in a unique way with this TRON Legacy LEGO bike set. Inspired by a LEGO Ideas submission, this futuristic set comes with minifigs of Sam Flynn, Quorra, and Rinzler in addition to 2 light cycles and a grid display base. 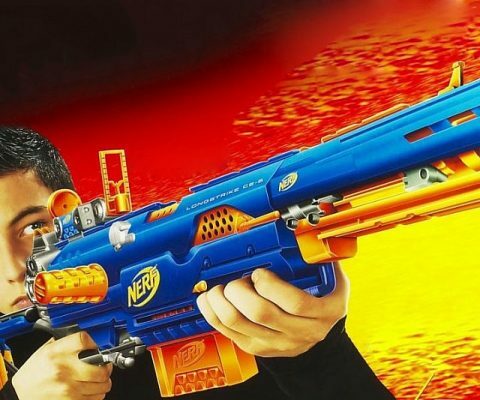 The Nerf sniper rifle is yet another Nerf toy that we agonizingly wish they made while we were still growing up. You can have an all out sniper war with these guns, but the Nerf sniper rifle is an especially great gift for office warfare. These are the blocks you’re looking for. 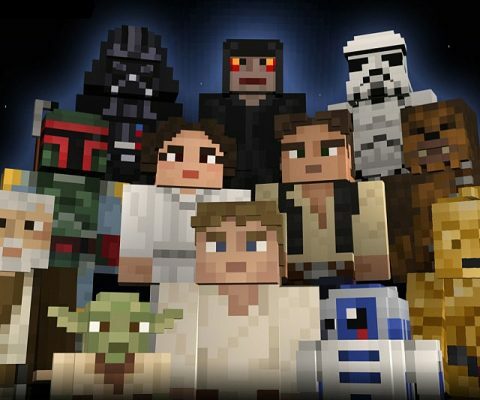 Bring the Force to the world of Minecraft as you customize your players with the Star Wars Minecarft skin pack. It places 55 skins at your disposal including several variations of the most iconic villains and heroes. 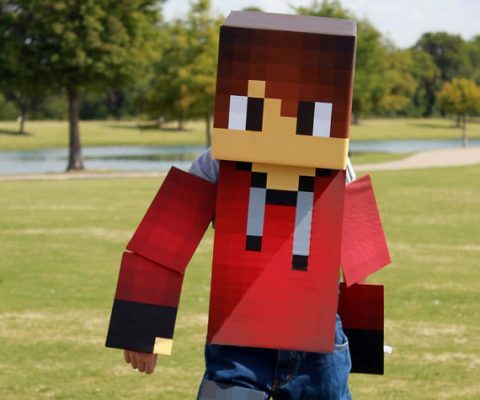 Blur the lines between the real and virtual world by transforming yourself into a pixelated character using this Minecraft costume kit. It comes fully painted with Velcro straps along the back so you can easily put it on. 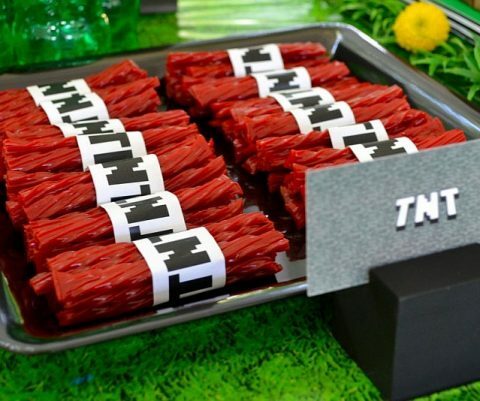 Transform the red licorice at your kid’s birthday party into a convincing stick of Minecraft style dynamite. Simply print these small wraps and place them over some Twizzlers to make them look like the 8-bit TNT blocks from the iconic video game. Your favorite Hylian characters have crossed over into unfamiliar lands and its left them a bit pixelated. 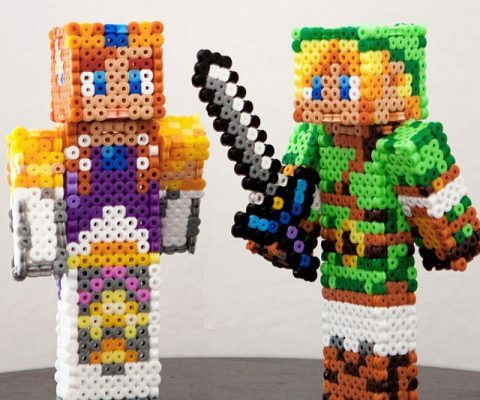 The Legend of Zelda Minecraft figurines take these beloved characters and gives them an awesome 8-bit makeover using brightly colored beads. If you dream in pixels or just love building stuff, then you’ll love the Minecraft pickaxe stylus. 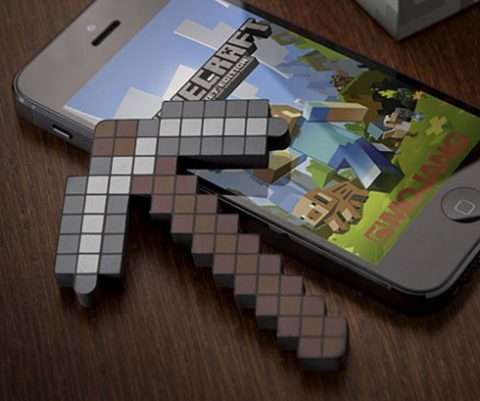 Compatible with most smartphones and tablets, this geeky Minecraft themed stylus is great for everyday use – and works even greater for playing Minecraft pocket edition. There are few accessories in the fashion world that make an outfit come together as good as a pair of Minecraft earrings. 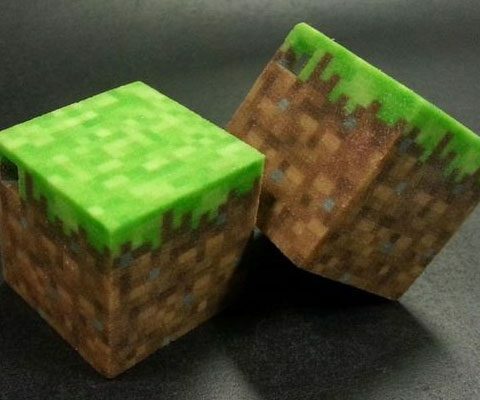 These geeky earrings let your inner gamer shine through as others wonder why you have two blocks of dirt and grass hanging from your earlobes. 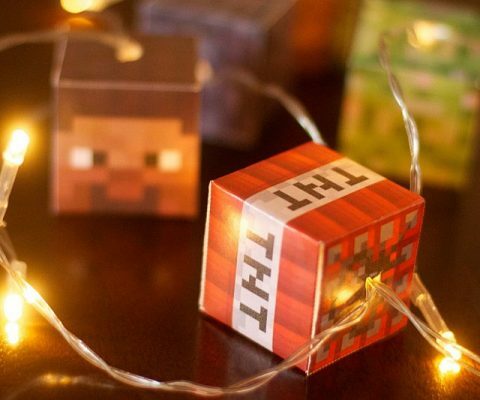 Stay true to your gamer roots as you illuminate your home using these Minecraft LED string lights. Each set includes ten LED lights that emit a soft golden glow alongside five small pixelated blocks of TNT, Steve’s head, a creeper, rocks, and dirt grass. 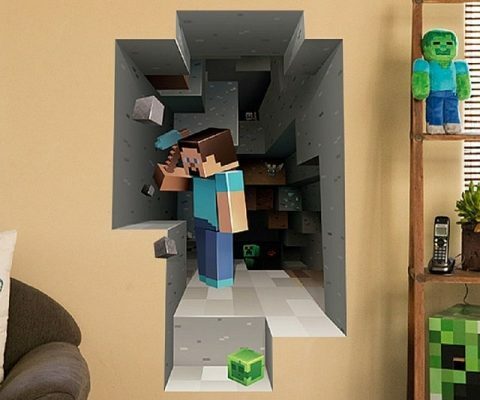 Make your kid’s dreams come true by turning his room into a level from his favorite video game using these Minecraft wall graphics. Each decal depicts a detailed image designed to distort the viewer’s perception by creating the illusion the wall is going inward.